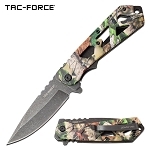 Spring Assisted knives are pocket knives which are actually spring loaded knives. Unlike a regular folding knife, an spring assisted knife has a spring mechanism inside the handle which assists the blade to swing open fast like automatic knives. 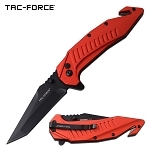 The thumb stud on the knife blade helps in opening the knife quickly giving an advantage, also the blade of these best pocket knives can be opened using only one hand. 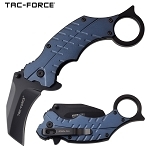 These knives come in many designs and colors with different blade types and sizes; plain or tactical knife handles. Assisted opening knife is good for daily use and many people carry this pocket knife as an EDC knife. The design of the assisted opening pocket knife makes it a must have for everyone as its light in weight, can be folded like a regular folding knife, safely kept and can be handled easily with one hand. It is a good EDC knife to have with you for safety and self defense, if you have to travel around. 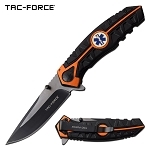 Apart from safety, the assisted opening knives can assist you in other daily tasks as well. 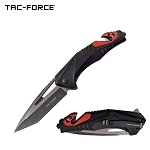 You can use them to cut things, you can use them while camping and on your outdoor adventure. These knives will surely help you, no matter what the situation is; as these pocket knives are available in tactical knife handle with features such as window breaker, seat belt cutter, LED light, bottle opener, carbiner and pocket clip. 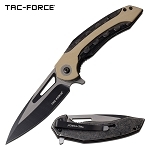 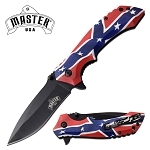 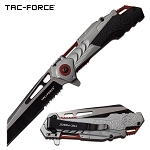 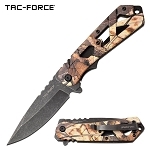 Knife Import offers a wide variety of knives at wholesale price. 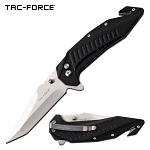 Why buy knives at retail price when cheap knives can be purchased online from us at wholesale knives prices. 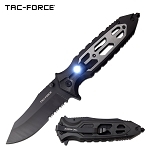 Our top of the line knives for sale, are the pocket knives, spring assisted knives, fixed blade knives, throwing knives, dagger, butterfly knife, bowie knife and many more. 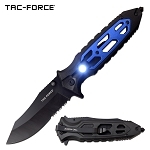 Cool knives such as assisted opening knives are the best knives which are purchased by our customers at cheap wholesale prices and re-sold at premium prices at flea markets, stores, ebay, amazon and other locations making good profits. 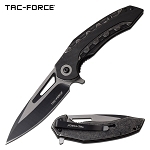 There are many customers who are looking for a good EDC knife such as the famous joker knife so place your first online order at Knifeimport.com today.